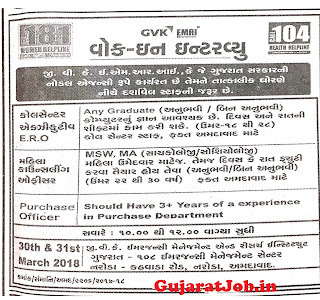 All Qualified Candidates Are Required to Check Eligibility Details for the GVK EMRI Ahmedabad Government Job 2018. 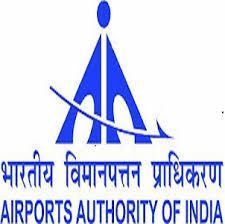 Airports Authority of India (AAI) has published Advertisement for below mentioned Posts 2018. Other details like age limit, educational qualification, selection process, application fee and how to apply are given below. Full-time regular Bachelor's Degree in Engineering/ Technology in Civil with minimum 60% marks from a recognized/deemed university or from an apex Institution i.e. IIT recognized by Government of India and having qualifying GATE Normalized marks on GATE Scorecard for the year 2018. Full-time regular Bachelor's Degree in Engineering/ Technology in Electrical with minimum 60% marks from a recognized/deemed university or from an apex Institution i.e. IIT recognized by Government of India and having qualifying GATE Normalized marks on GATE Scorecard for the year 2018. Full time regular Bachelor's Degree in Engineering/ Technology with minimum 60%marks in Electronics/ Telecommunications/ Electrical with specialization in Electronics from a recognized/ deemed university or from an apex Institution i.e., IIT recognized by Government of India and having valid GATE Normalized Marks on GATE Scorecard for the year 2018. Full-time Bachelor's degree in Architecture and registered with Council of Architecture. Application Fee: The fee is to be paid by the candidates through online payment mode only. The Last Date for payment of Application Fee is 02/05/2018. 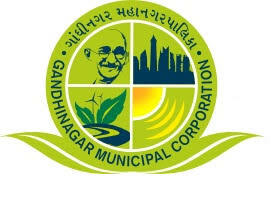 Gandhinagar Municipal Corporation has published Recruitment Notification for Various Posts. 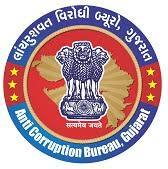 Check more details like Total posts, age limit, Fees, Selection process, how to apply and all details are given below. Daily visit JobSafar website. please read it and forward to all needy friends. ● Educational Qualification & Other Details: Please Read Official Notification.